Homeownership is a serious commitment. 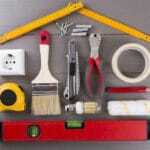 Upon buying their first house, most people learn through experience how to make a variety of home improvements. However, not all home improvements should be performed by a homeowner. Some home improvements are too expensive, too high stakes or too complex to be performed by someone without specialized training. Knowing the difference between a good DIY project and a project for a professional can help homeowners who want to take good care of their house. 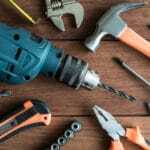 For many homeowners, the best DIY projects are those projects that are unlikely to result in damage to the house if mistakes are made during the process. 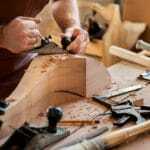 Most homeowners ease into the world of DIY home improvement a little bit at a time, by first doing very small household tasks with small household tools. The best “beginner” DIY projects are tasks like installation of blinds and curtain rods, replacing the parts in the toilet tank, redoing landscaping and painting the interior walls of a room. 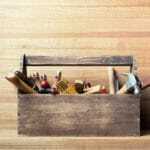 These DIY projects help homeowners to develop their skills, get comfortable with tools and learn more about home improvement generally. These projects are also easy to fix if they’re done incorrectly, and are unlikely to result in any long-term damage to the house. A room can always be repainted, a toilet can always be fixed by a plumber. Could result in serious damage to the house or could devalue the property if done incorrectly. Require specialized tools that most homeowners can’t buy on their own. Common examples of projects that are best handled by contractors include roof repair or replacement, plumbing installation, electrical installation and foundation repair. These projects are all relatively high-stakes, and could result in damage to a property, injury to occupants or a reduction in home’s value if done incorrectly. Deciding whether to DIY or hire a professional is a multi-step process. Factors to consider include the differences in expense, the skill level required to do the job, and the consequences of possible mistakes. Before a homeowner can decide whether or not to hire a contractor or perform a home improvement project on their own, they must first know the step by step process for completing the project. 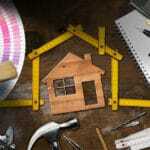 Watching videos online and talking to experts are good ways to find out what’s involved in a home improvement project. Gas required to make multiple trips to the home improvement center. To find out for sure which is the cheapest option, homeowners must then meet with contractors and get multiple bids. Finally, homeowners who are trying to decide whether or not to take on a DIY project must find out the risks involved. These risks include safety risks, risks to property and risks to people living in the household. Does the repair involve dangerous activity? Could the property be damaged or devalued if the improvement goes badly? This is all information that will come up during the research process. Homeowners who aren’t sure whether or not a project involves risk should hire a contractor to avoid problems. In the end, it’s always better to be safe than sorry.